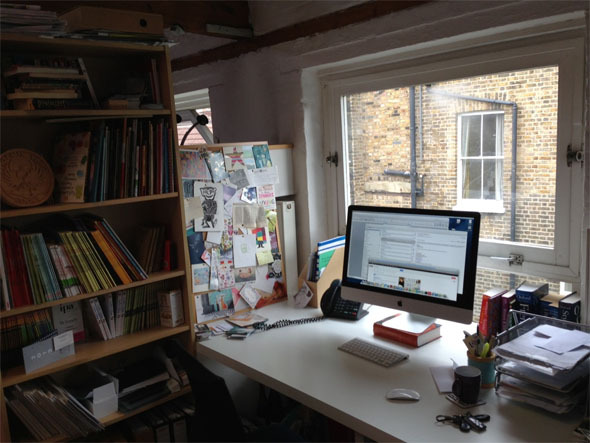 Tell us about your experience in children’s publishing and explain what led you to set up Phoenix Yard Books? 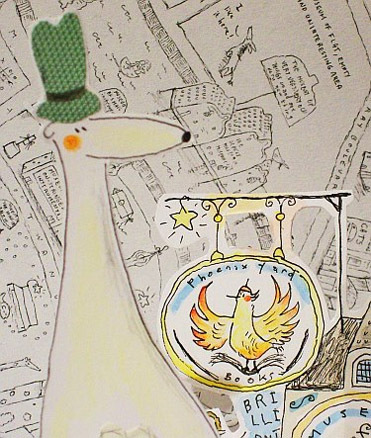 We set up Phoenix Yard because we thought there was a gap in the market for very distinctive, stylish and slightly quirky picturebooks and literary fiction. Books from other countries in other languages had long been part of my reading diet, and I felt frustrated that so many brilliant writers and illustrators were unlikely to published in the UK and therefore readers were missing out. Whether from abroad or ‘home gown’, I wanted to publish books that I thought would be popular with UK readers, but that I knew would never get the green light at bigger, more mainstream publishing houses. Before Phoenix Yard, I had mostly worked for very big publishing houses, and I’m really grateful for this previous experience and all the skills I learnt. So at the point of starting Phoenix Yard, I had a good working knowledge of the book trade industry and a strong awareness of books from other places; I think this was probably the most useful combination when starting the company. But there were an awful lot of things relevant to starting a new company that I didn’t know I didn’t know, and I’m still constantly learning every day. Congratulations to Phoenix Yard Books on winning for Best Newcomer at the Independent Publishing Awards 2013! And what a great achievement to have been personally shortlisted for Young Independent Publisher of the Year. What kind of research did you do prior to setting up Phoenix Yard Books in order to ensure it had such a clear and unique voice in the marketplace? Thank you! It’s always great to be recognised for the work we do (or rather I should say the work our authors, illustrators and translators do) but most of all it just spurred us on to do more, and better! As said above, we knew the sort of books we wanted to publish, so we had a very clear idea about what our list would look like. In terms of the initial research, I spent a lot of time in illustration shows both here and in France, and a lot of time engrossed in foreign publishers’ catalogues. We also spent a lot of time over our branding, employing a fantastic design agency who created our logo and website. In order to have a clear and unique voice in what is a fairly crowded market, I think you do have to create a very strong brand identity – and stick with it. In this way, it’s helpful to think of the company as a brand. 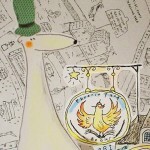 Phoenix Yard Books publishes picture books, fiction, poetry, and non-fiction for children aged three to thirteen. Talk us through the making of one of your award-winning titles – who was involved and what were the key stages of its development? Every book has been a different and unique journey from inception or acquisition to publication. 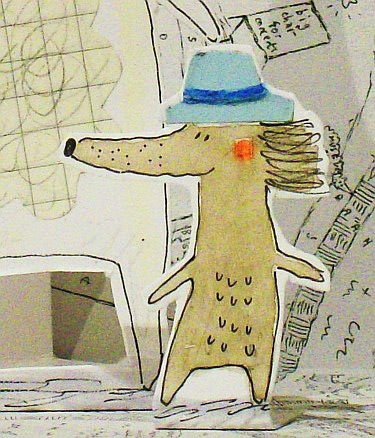 Fiction and picturebooks inevitably go through very different editorial processes, as do translated titles and home-grown titles. 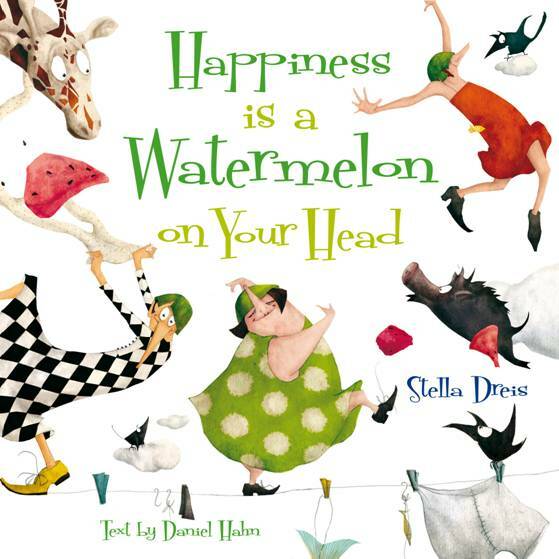 Perhaps one of the most unusual books in terms of development stages was Happiness Is a Watermelon on Your Head. Already an award-winning book in Brazil at the point I discovered it in Bologna, Stella Dreis’s spectacularly mad illustrations, and equally mad story, marked the book out instantly. I approached Daniel Hahn, an award-winning translator from Portuguese, to translate the text. Except Daniel ended up translating the pictures rather than the text; he ditched the Portuguese text altogether and wrote a very quirky, funny rhyming text based around the pictures. This unconventional approach wasn’t planned or predicted, but it worked. The rhyming text is a brilliant complement to Stella’s illustrations, and everyone involved in the book was very happy with the result. Happiness is a Watermelon on Your Head reprinted within the first year on sale and is about to be featured on CBeebies. Phoenix Yard Books has quickly become known for its distinctive design style with a list including titles such as ‘Lollipop and Grandpa’, ‘Mr Leon’s Paris’, ‘Happiness is a Watermelon on Your Head’ and ‘Hot Air’. Can you elaborate on the type of illustrations you are interested in, whether there are particular subject matters or characters which appeal and what the thinking is behind this unique identity? We describe our list as the ‘quirky end of commercial’. So we’re not interested in very mass market styles of illustration. We translate books from France because their typically effortless stylishness and the stereotypically French je ne sais quoi is a good fit for our list. Our books sell very well in galleries such as the Tate and the Design Museum, as well as mainstream bookshops and some fantastic independent bookshops. Some booksellers have described our books as ‘the high end’ or the ‘stylish end’. But equally, we are a children’s publisher with a responsibility to young readers, parents, teachers and librarians. The style still needs to be charismatic and child-friendly. With children in mind, we are looking for really good characters in really good stories. I think style all comes back to brand and identity. If you have a very strong sense of what your identity is and what direction you’re going in, then you know very quickly whether a certain style of illustration is going to work for you or not. I think the only ‘type’ of illustration we’re looking for is the Phoenix Yard type. Other than that, it’s very hard to describe an exact type, but we always know it when we see it; there’s a lot gut feeling involved. Of course, our list encompasses different illustrators who all have their own individual and distinctive styles, and that’s important too. But all our books have to sit next to each other under what needs to be a list with a very cohesive identity. Ideally, you want people to look at a book and think ‘yes, that’s very Phoenix Yard’. Particularly, when you’re a small publisher, it’s not enough to publish books; you have to curate your list too. We work on the top floor of a beautiful 16th century converted yard and brewery. Lots of wobbled, cobbled walls and wooden beams. It’s a very creative environment. Tell us a little about the projects you are working on now. We’re very busy preparing the books for our Spring 2014 programme, which really showcases the best of new and established talent. 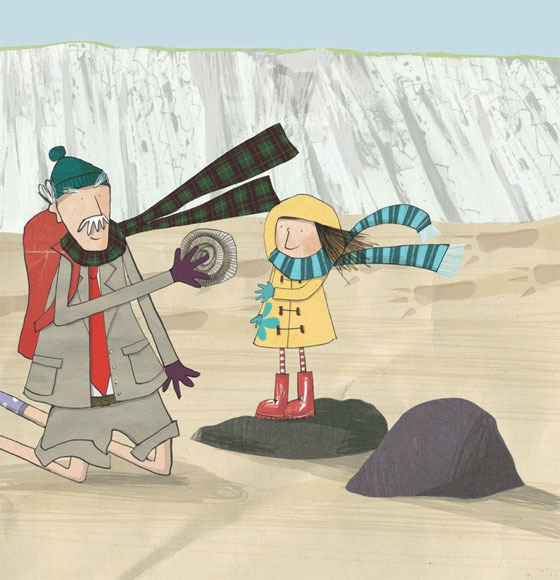 Keep your eyes peeled for a picturebook debut by an exceptional new author-illustrator, Linda Sarah, who is definitely someone to look out for. Also hugely exciting, is a WWI graphic novel. One of our French illustrators, Barroux, rescued the diary of a real soldier in WWI from the rubbish. He took the diary back to his studio and illustrated the soldier’s words. Michael Morpurgo has written an introduction to the book and it is by far the biggest project we have ever undertaken. On the fiction side, we’re publishing the third instalment of Glenda Millard’s award-winning Kingdom of Silk series for 8 -12s. These mini novels have gorgeous covers and inside illustrations by Stephen Michael King, “the Australian Quentin Blake.” If you’ve never come across Stephen’s art (or Glenda’s writing for that matter), then you should go and rectify that situation immediately. Which children’s book(s) from your childhood really struck a cord with you? For me, it was all about being taken to another world. My favourite fiction authors were Jules Verne, T.H. White, Tolkien and C.S. Lewis. But I was also a big reader of non-fiction, probably even more so at some points. I read a huge amount of illustrated history, natural history, geography and science books. My childhood obsessions were Antarctica and Africa. The book I reread the most was The Usborne Book of World History. When I was a teenager, I got into comics and bande dessinée. 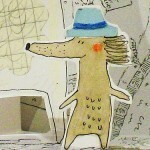 Are you interested in author/illustrators or do you prefer to marry up a manuscript with an illustrator of your choice? It completely depends on the book or the author/illustrator in question. Although there are several notable exceptions, it’s rarer to find someone who is equally strong in writing and storytelling as they are in illustration. This is why publishers often prefer to pair authors and illustrators of their choice. As a general rule, we say stick to what you’re good at. 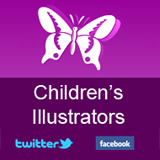 Most of our books are author and illustrator pairs, both for picturebooks and fiction (if the fiction is illustrated). It’s a great challenge but a wonderful feeling when you know you’ve got the pairing just right. Our Lollipop and Grandpa series, written by Penelope Harper and illustrated by Cate James, is a good example. I can’t imagine anyone else but Cate illustrating Penelope’s words – they just mesh so well. But exceptions there are. 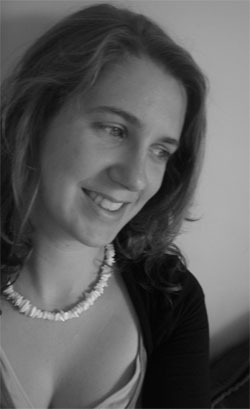 Our forthcoming picturebook, Mi and Museum City, was written and illustrated by Linda Sarah. The wacky world of museums is all completely Linda’s. The book just wouldn’t have worked if we’d given the text to someone else to illustrate because the text is totally inseparable from the illustrations. Linda was an artist before she started to write for publication, but she has a very natural – to the point of uncontainable – storytelling ability. I don’t think she iactually capable of drawing an image without there being a story or the stem of a story behind it. Who has been your most influential mentor so far? There are a lot of people whose work I admire and a lot of people I’ve been lucky enough to learn from. I couldn’t single out one. In publishing circles, I was fortunate enough to work with Verna Wilkins, who is an inspiration to very many; I admire and have great respect for the editorial nous of David Fickling; I’ve learned a lot from watching certain French editors and art directors. I’m a big fan of Scott McCloud, the cartoonist and comic theorist, who describes the idea of having a “systems brain in the arts”, which I think is a very good way of describing the way a good editor approaches a text or a picturebook: even with the most beautiful prose and illustrations in the world, you need to understand how stories actually work. Although, in many ways, my authors, illustrators and translators are probably my best mentors: it’s only through working with them that I’ve become a better editor. Does Phoenix Yard Books have plans to launch into the digital market? Phoenix Yard Books is committed to working alongside local schools. Have any of your books evolved from ideas which have come directly from spending time in a classroom? I have great fun in local primary schools asking children to do my job for me! We discuss a lot of books, both published and not published, and we have a hands-up vote at the end about what we would and wouldn’t publish. There’s the first in a fiction series publishing in May next year, The Luchair Stones, which children in one particular class really helped us with in terms of developing appealing characters and shaping page-turning storylines for children who might usually be reluctant readers. 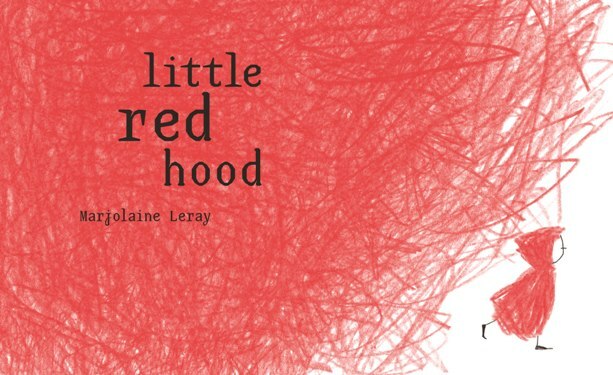 The translation of un petit chaperon rouge (Little Red Hood in English) evolved partly through the children’s response to the pictures and their take on what they thought was actually happening in the story (which was not the same as what most adults presumed was happening in the story! ).